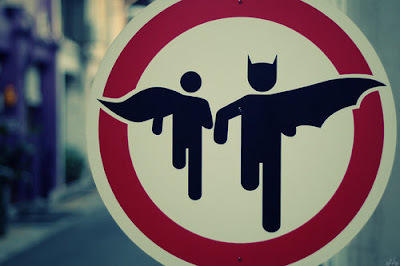 Darien Design: Super Heros Meet Super Design! Super Heros Meet Super Design! I love this graphic that I found on a friend's Facebook page. I love the movement, the positioning and balance of the superhero icons and, well, I just love it so what can I say? I don't know where it comes from but if anyone knows please pass that info along!